Avow was just amazeballs!!! Chelsea Fine did a magnificent job writing the Archers of Avalon series and did a great job writing an end to the series. So sad I won't be seeing more of the characters :'( But her writing is the epitome of EPIC. She manages to keep hilarious dialogue between the characters even though they're in a grave/ dangerous situation. She also carefully manages to intertwine the past with the present as she did in the other books. And it really helps the reader understand whats going on and I love how she doesn't repeat ther memories from the last books and give readers a whole new perspectives on what really happened. Now as for Tristan *dreamy sigh*, he kept tearing at my heart and mended it all the while. Now that he isn't causing Scarlet to die and its the other way around, he's been all cheery and happy and d*** adorable!!! 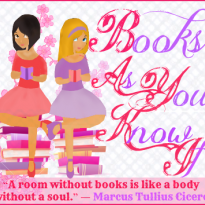 Ok so I really want to share this line (one of my favoites) from Avow, but oh my god after reading it THE FEELS DUDE!! I died when reading it! "My heart is not broken Scar. My heart is dead!" SEE what I mean!!! Ooh and I'll share another one 'cuz I'm just that awesome..well Chelsea is. "Your life is not just 'something', Scarlet. He emphasized the 'let' in her name. "It's everything," his voice cracked. I had the urge to hug him and I had to restrain myself from saying Awwwww outloud. 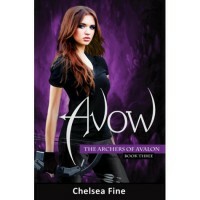 Chelsea Fine outdid herself and did a wonderful job with Avow and trust me when I say it's waaaay better than the first two books (although if you haven't read them yet..you should!!) All Archers of Avalon fans will completely devour and savor it. I most definitely recommend this book/series to all YA paranormal lovers out there and those in for one hell of a roller coaster and brothers that will make you swoon.